You Have Been Hacked! Now What? 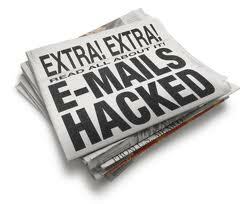 It is likely that someone has access\control over your email account. It is possible that you were targeted by some nasty cybercriminal, but it is not likely. What’s probably happened is that you went to a website which was infected with a virus. The virus was automatically installed on your computer (drive-by download) and is now sending out emails. Also, the problem could be the result of you using the same easily-guessed password at various websites and one of those sites was compromised. Hopefully you still have access to your email account. If so, immediately change the password. Please make it a password that is hard for others to guess, but easy for you to remember. A previous blog post about passwords may be helpful to you. If the bad guy has changed your password and you no longer have access to your own account, contact your email provider immediately. You may have other sites linked to your email account. If the hacker has your email password, he may be able to gain access to your other accounts. Change the passwords on all of your other online accounts. Do not change your accounts to the same exact password for each account. Doing so makes it easier in the future for a hacker to gain access to all of your accounts. Even if you are able to regain control over your email account on your own, it is still a good idea to let your provider know what happened. They may be able to assist you with ways to keep it from happening again. You can contact tech support or customer service for your email provider. As far as I know, there is only one way which will totally remove a virus 100% of the time, and that is to reformat your hard drive and start over. If you have a current image (I recommend that everyone have one) created with a product like Acronis (my favorite product for creating and restoring images) then this will be no big deal. If you do not have an image and you do not want to spend 3+ hours reformatting your hard drive and then manually installing your software one CD at a time, you can use virus removal programs. Download, install and update Malwarebytes. Run a complete scan. Update your antivirus software. Do a full scan. Keep scanning until there are no more traces of a virus. The only 100% virus-safe computer is one that you never connect to the Internet or is simply kept in a box. There are some things you can do besides not using your computer to reduce your chances of having the same problem again. Use a different strong password for each website you are a member of. Do not open strange looking emails (weird subjects or links) even from people you know. Use and keep updated a good antivirus program. Avast works well for me. Do not go to websites that may be infected. How do you know before you click if a website may cause you problems? Web of Trust. Web of Trust is a free Internet browser add-on that color codes website search results to let you know if a site is safe or not. If you use Internet Explorer, use a more secure browser such as Google Chrome or Firefox. Whatever browser you use, keep it updated.